I'm not a big fan of recipes where you have to be precise with measurements. This is roughly based on a recipe I used pre-Celiac days. Heat large pot with oil. Add the veggies and saute until soft. Add pasta sauce and salsa to pot and simmer for about three minutes, stirring often. Remove from heat. Mix egg white, ricotta cheese and 1/2 cup of parmesan cheese in medium bowl. As you can probably tell, I am a firm believer that there is no such thing as too much cheese! I am proud to say that this lasagna passed the "Dad test" - my dad is not vegetarian OR gluten-free but he said he liked it. "It doesn't taste like it's missing meat or gluten." Of course you can use any veggies you prefer. Broccoli and spinach would work well! 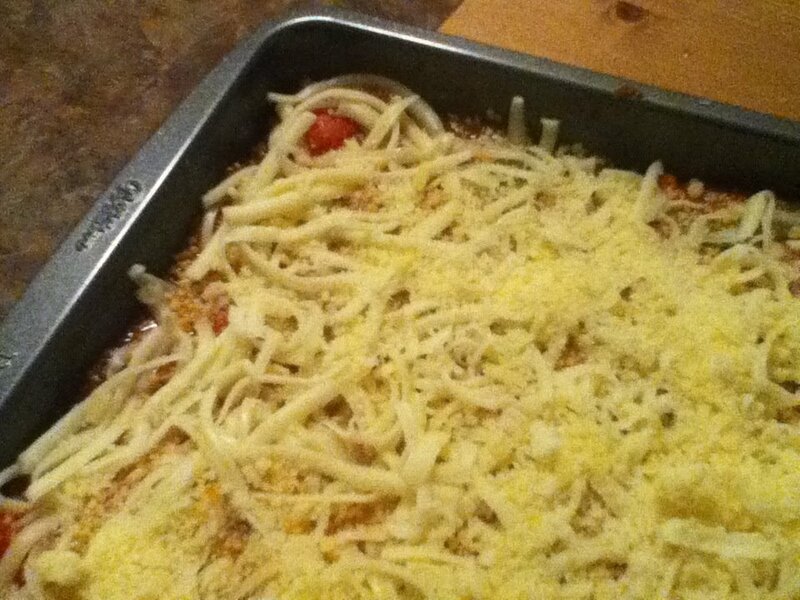 The trick is to use lasagna noodles that don't need to be pre-cooked - I used Rizopia. I used Classico Four Cheese pasta sauce - according to the website, all Classico sauces are gluten-free! Tostitos Mild Salsa is on the Canadian Frito Lay gluten-free list. Where can I buy Rizopia lasagne noodles?